FREE RAFFLE PRIZES GIVEAWAY FOR SCHOOLS! We know how difficult it is for schools or colleges to put out enriched outcomes based activities for its pupils/students on current levels of funding. That’s why we are partnering with schools across the North West to support them in achieving their Physical Education Outcomes, and Tackling Obesity, whilst at the same time, raising confidence levels and encouraging team building amongst pupils/students. 1. Heavily discounted rates for schools for an end of year or reward trips. 3. 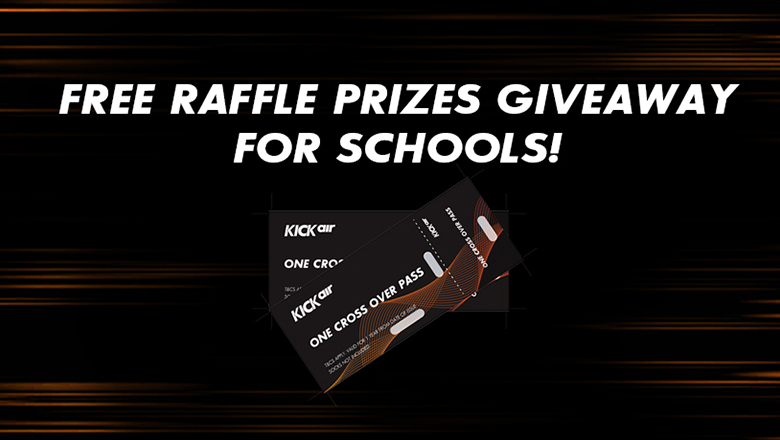 Kickair Discount Cards for every pupil whose parents wants one – this entitles the cardholder 30% of pass prices at Kickair. 4. Work experience opportunities for pupils- Subject eligibility criteria. Your pupils have asked for Kickair to reach out to you, so if you would like your school to benefit from the above or would like more information, please do not hesitate to email info@kickair.co.uk.